Are You Ready to Experience Lock 30? Choose a spacious site with picnic table and fire ring. All are shaded with hardwood trees or nestled under the pines. 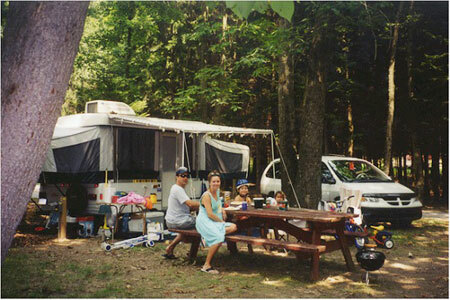 Family tent sites can accommodate two tents so that larger families — up to six– may camp together. Sites are not intended for multiple cars and multiple unrelated adults to “team up” on one site. Arrival must be within gatehouse hours–before dark. All unrelated parties must “sign in” with identification. No drop-in “day visitors” that are unregistered campers will be permitted to stay overnight, so plan ahead. Reservations are expected. We may have occasional drop-ins, but all must arrive during afternoon hours and pay upon arrival. Your safety and comfort matters to us. 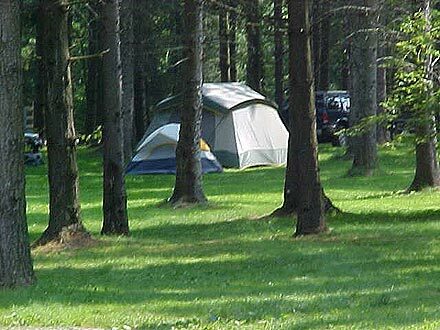 That’s why we’ll enforce quiet hours and all rules and policies that are intended to keep Lock 30 Woodlands a top-rated camping destination for families! 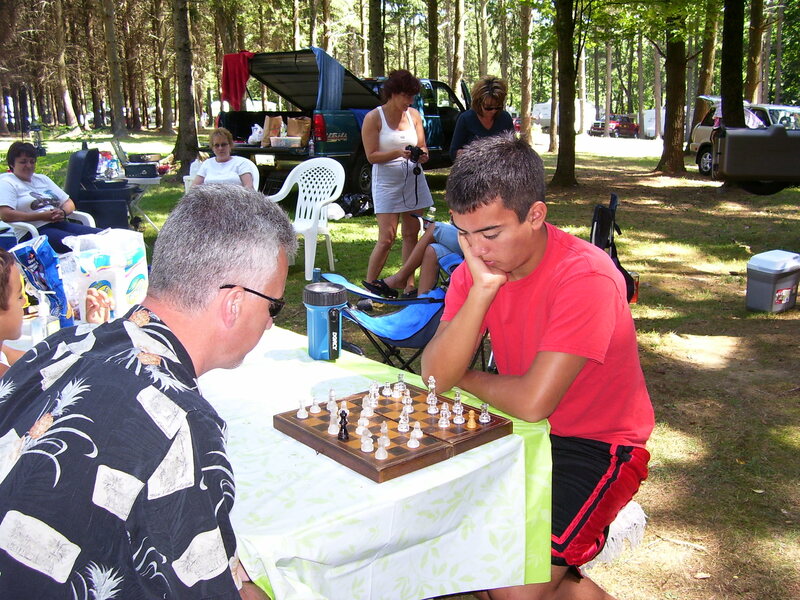 We have several shady, grassy, tent areas convenient to showers and restrooms. Some permit well-behaved pets. Others are ideal for tent camping groups. Every site has a picnic table and fire ring and enough space to park your vehicles. Choose where and how you want to pitch your tent. All of our sites have water and electric available. Pick a date, and call to inquire about specials–most require advance reservations. Ask about off-season, winter camping, too. Our heated and carpeted clubhouse with showers and restrooms, is open 24/7. Do your laundry while you play a game of pool or foosball. 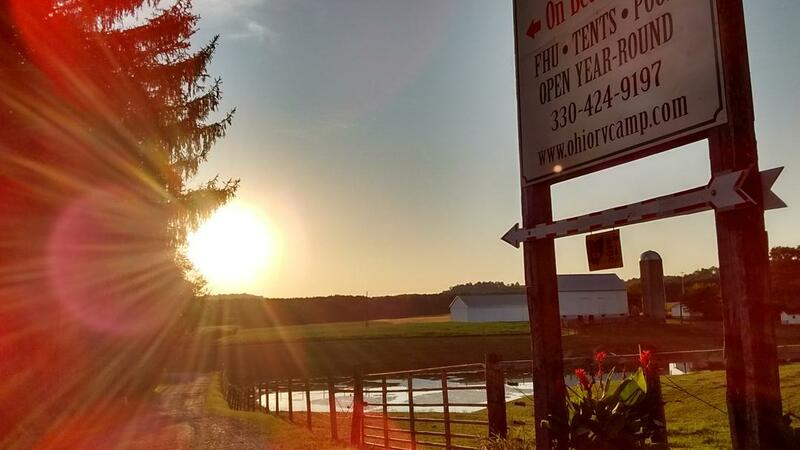 Spacious, shady, and grassy sites are close to mile of Beaver Creek which runs through the property and is surrounded by a wildlife conservation easement. Secluded privacy! Most sites are 200 feet from either furnished clubhouse or pavilion. Both shelters have roomy showers and bathrooms. Some have handicap access; others are white, ceramic tiled and open year-round. Catch and release fishing is available in our privately owned, stocked 3.5 acre lake. (No license required). Hiking trails, as well as fishing access to the Wild & Scenic designated Beaver Creek, (license required) are nearby. Nearly Olympic sized swimming pool (seasonal), a carpeted clubhouse with game room, laundry and book exchange offer enjoyment for all ages. Lighted, landscaped tournament grade bocce ball court is located beside the clubhouse. Picnic table and fire ring, plus parking for two vehicles are at each designated rustic site. A Horseshoe pit awaits you under the pines. The 40 x 30 paved basketball court is not far from the bocce court and pool. Additionally we offer a shaded, regulation sized volleyball court. Two playgrounds with swingsets for the big kids are located on either side of the clubhouse, while toddlers can enjoy pint-size recreation. Private tent camping area for campers with well-behaved pets is located nearby.